Since time immemorial, every Cape ‘opstal’ (farmstead) had a coffee ‘konfoor’ in the ‘voorkamer’ (parlour). 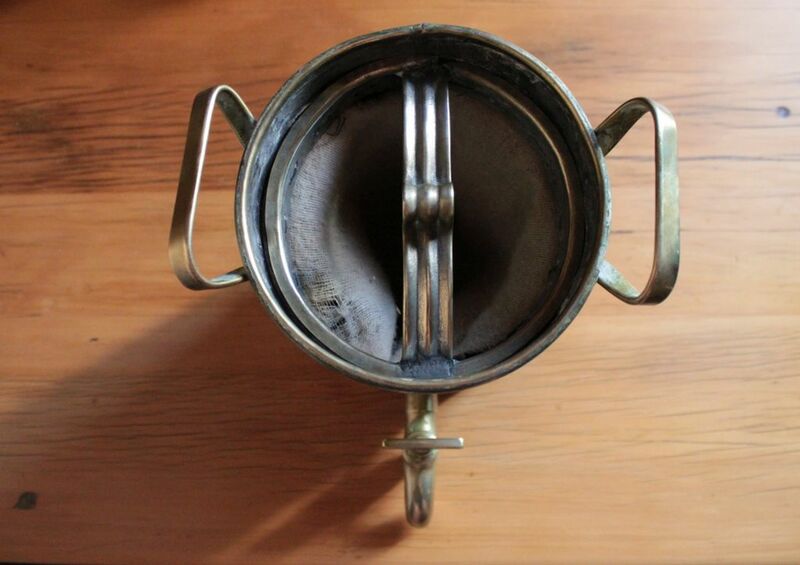 A ‘konfoor’ is a small round table brazier that was used to keep a pot of coffee warm. 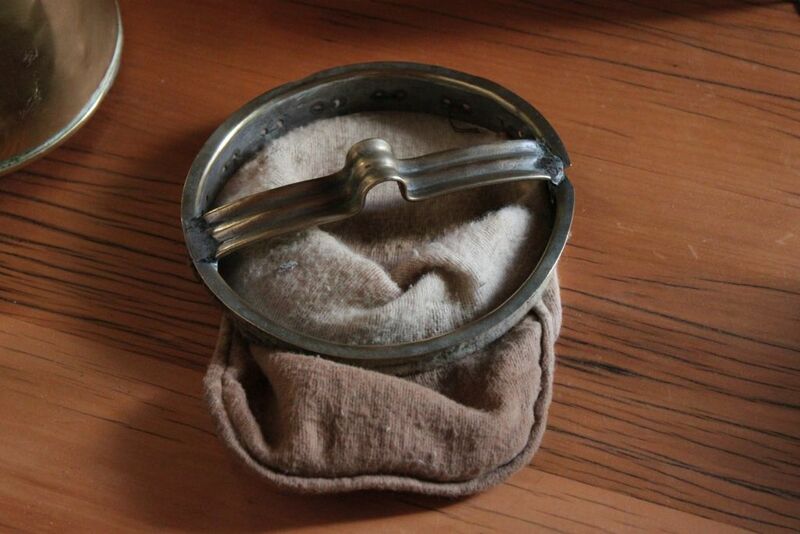 It was usually made with red or yellow copper or brass. 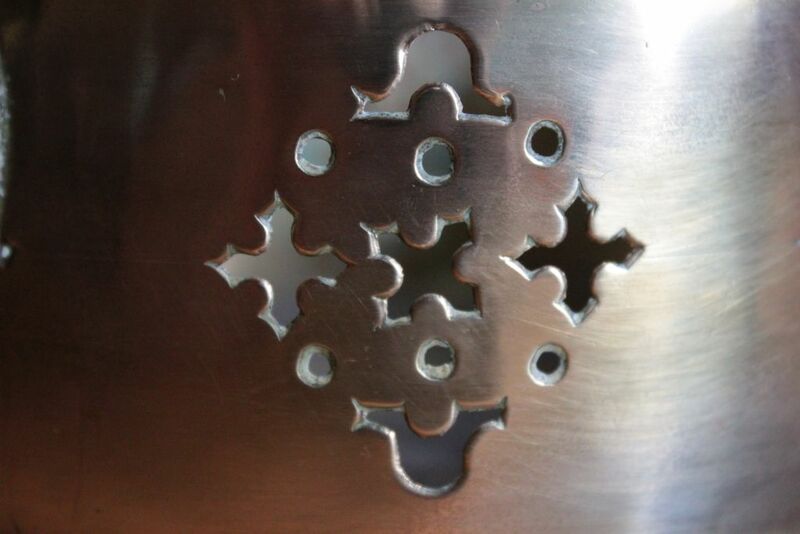 The word ‘konfoor’ is used to describe the coffee pot on the brazier as a complete item. 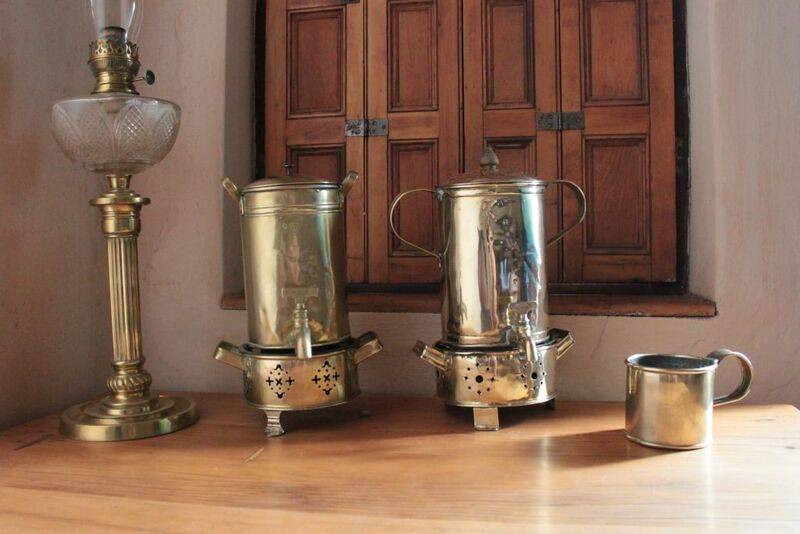 Naturally it was one of the first items we re-introduced for a side-table in the ‘voorkamer’. When researching the history of the property I also looked at the inventories of the Orphan Chamber, Cape Town Archives Repository. The inventories give one a good idea of the layout of houses and properties in the 1700-1800’s. 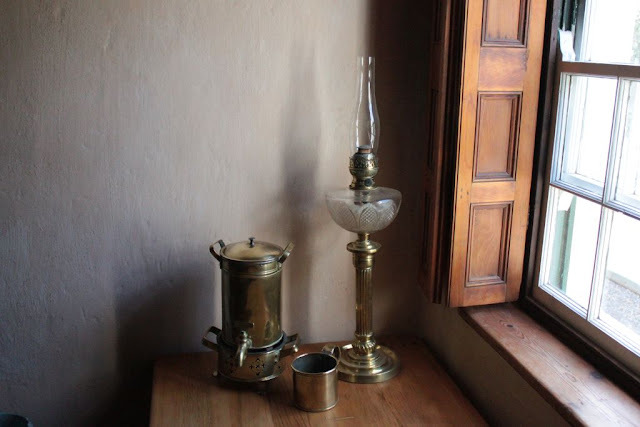 The inventories would identify and give the positions of the various rooms of a house as well as those of the different outbuildings. The various inventories show us that the ‘konfoor’ was an essential part of the Cape house and was traditionally found in the ‘voorkamer’ where guests would have been received. The ‘konfoor’ was recorded in the inventories with several different spellings. 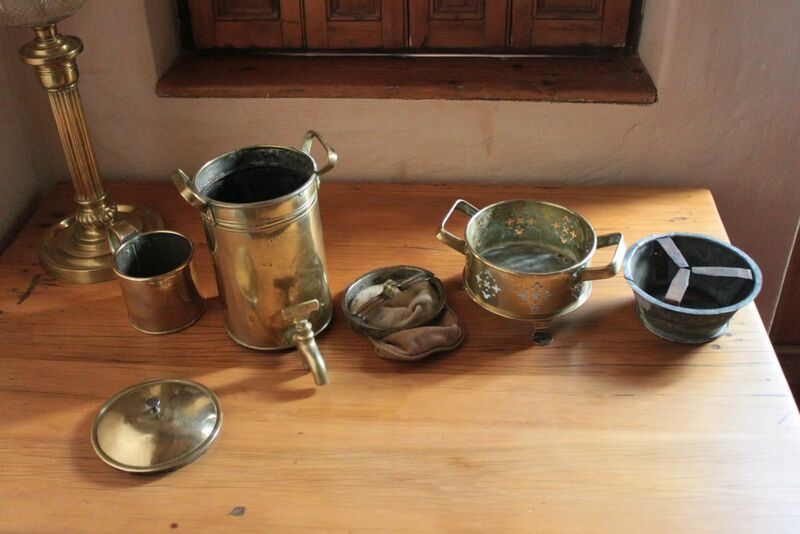 It seems that the vernacular tongue of the person recording the inventory influenced how items were recorded. Some of the spellings, with the year indicated in brackets, that I sourced were konfoort (1720), konfoor (1723), konfoir (1818), komfoor (1717), komfoort (1720), komfoir (1787) , confoor (1713),confoort (1715), comfoortje (1779), comfoort (1790), conphoor (1799), konphoor (1808), comfoir (1761) and confoir (1784). My research has found that in nearly every inventory there is mention of a ‘konfoor’ and that the years in which it is recorded seem unrelated to the changes in the spelling. The different spellings of ‘konfoor,’ seem to be random. The chief influence appears to be the person recording the inventory at that moment. 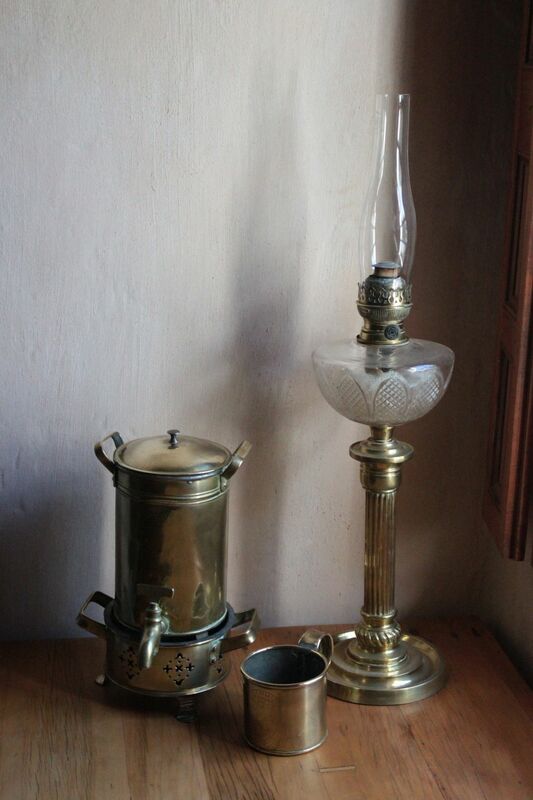 There were several copper-smiths active in the Cape over this period and right up to the early 20th Century. 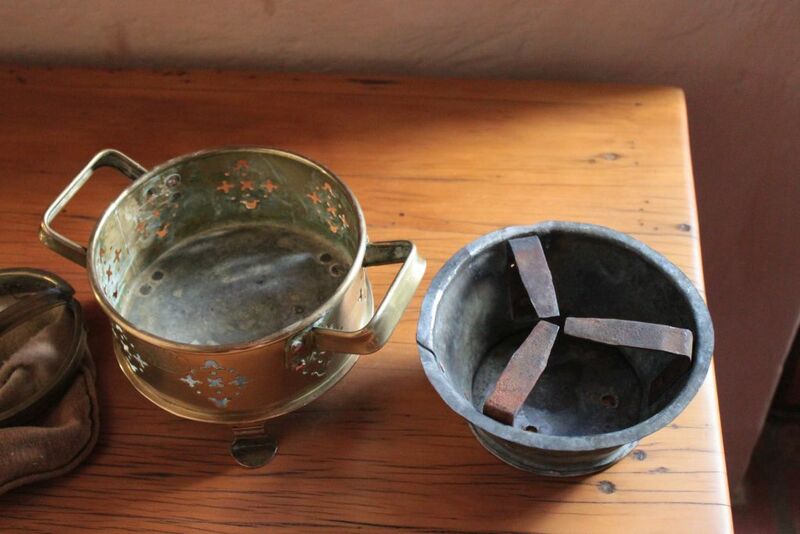 Perhaps the best known copper-smith operating in Robertson, a town in the area established in the 1850’s, was Frederik Johannes Staal. He had learnt the trade from his father and in turn, had trained Thomas Christopher Falck who was his apprentice. 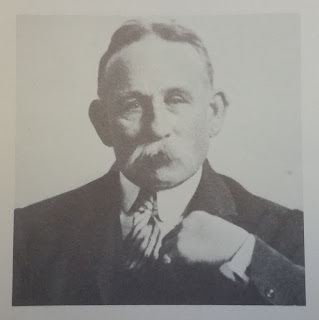 According to the book The Cape Copper-Smith by Marius le Roux published in 1981, Frederik Johannes Staal was born in Montagu in May 1857 and died in Robertson in 1934. After his death some of his tools were bought by his apprentice T. C. Falck. 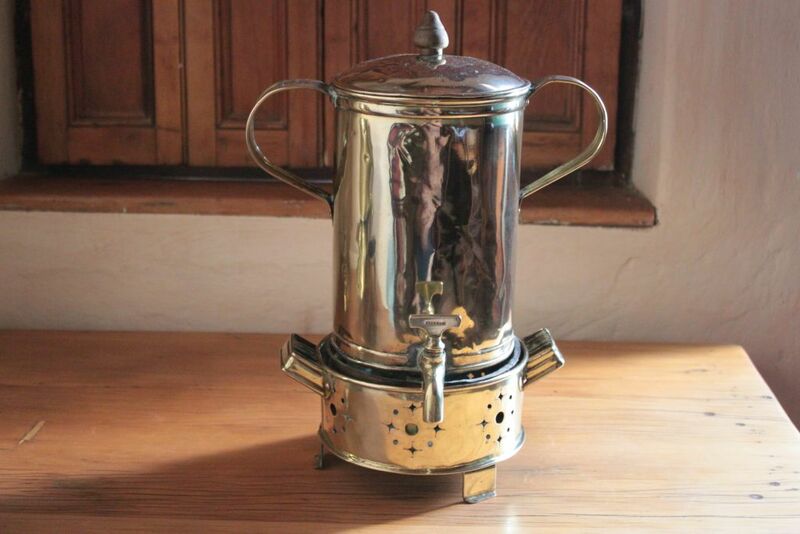 F. J. Staal manufactured coffee-pots, coffee-urns, konfore, drinking mugs, water kettles and so on. No technical problem was too big for him. 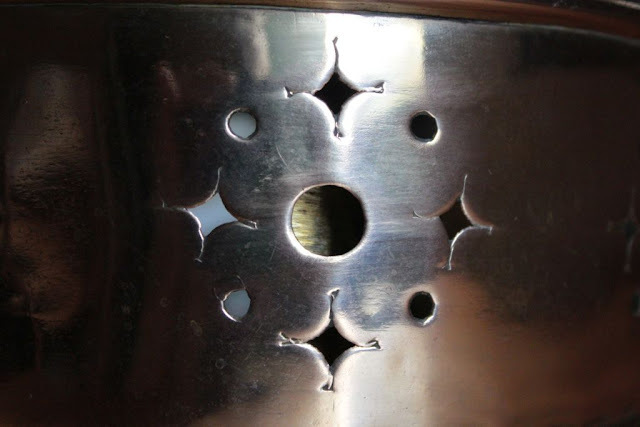 He was commissioned to do the difficult job of sheathing the roof of the local church steeple in copper plates. Undaunted by what seemed to be an insurmountable obstacle he set off to Cape Town to recruit a sailor who had many years’ experience of working high-up in the rigging of the tall masted sailing ships. Between them they found a way to hoist the plates to the top of the steeple where the sailor made short work of fixing them down. When we were presented with the opportunity of acquiring a F.J. Staal ‘konfoor’ and mug we hesitated. One of the last things we were planning on buying was a second ‘konfoor’. But finding the ‘konfoor’ complete with its brazier and flannel coffee bag with brass handle intact, we realised that it was an opportunity that might not come our way again soon. 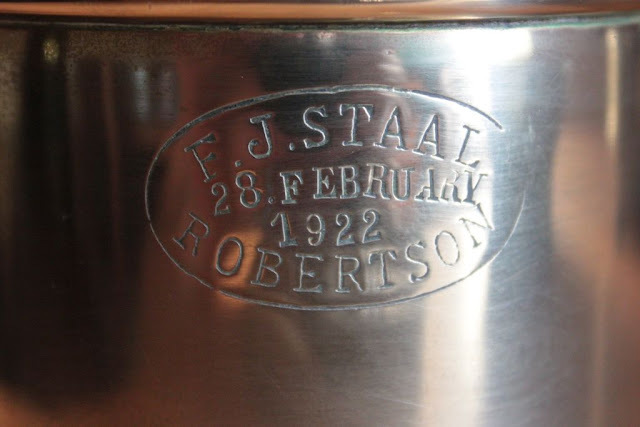 With our preference of acquiring antiques that were indisputably made in the area, we did however have a long term desire to replace the unstamped ‘konfoor’ in the ‘voorkamer’ with a F. J. Staal ‘konfoor’. 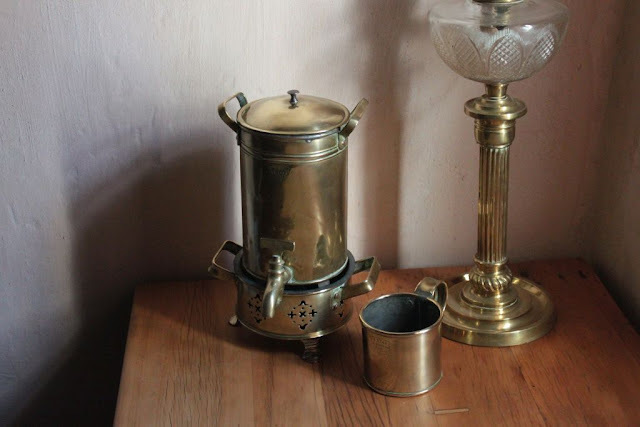 Now the ‘voorkamer’ is graced with a ‘konfoor’ and mug made by the best known copper-smith of the region and our F. J. Staal collection is complete, well I think so. 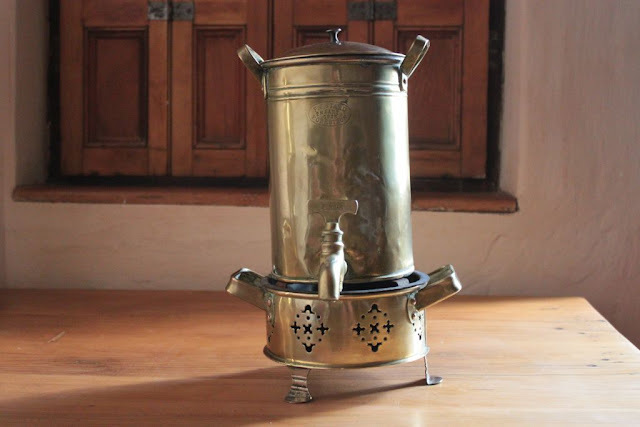 Fascinating this history of craftsmen plying their ancient trades at the Cape and the customs and practices that supported and recorded their work. Thanks for this most informative post. Gosh, you certainly do yr homework!